We are probably going to be here for awhile, we’d better make sure we floss! My co-collaborator and the driving force behind the IndexCard Cure™ Joan Grey was just in the news –not featured prominently, but she played a crucial role none-the-less, exhibiting her usual Grace Under Fire. 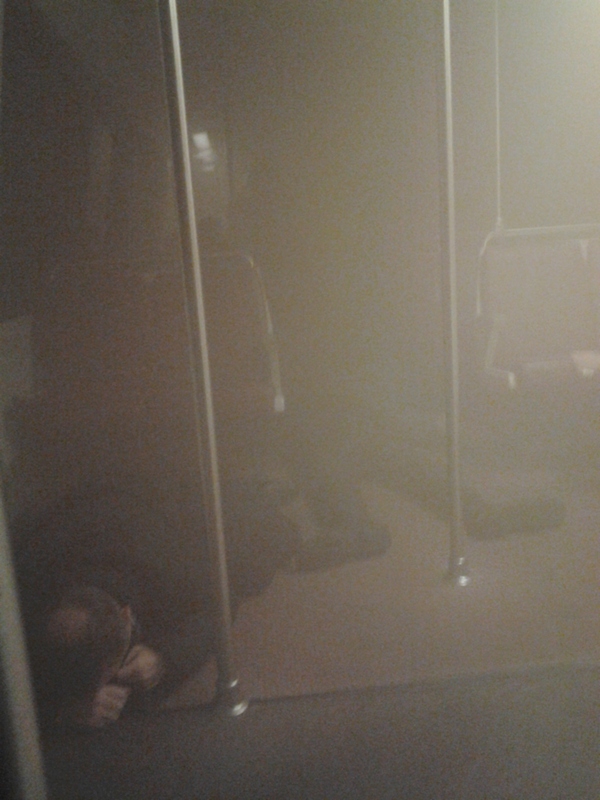 Joan was in one of the Washington D.C.Metro cars that were recently stuck in the tunnel for over an hour, filled with noxious smelling smoke. In fact she was in the second car – among the last to be rescued. She is far to modest to tell you about it — the way she told it to me, she did not do anything. But my impression is that by keeping her cool and doing what she could to stay calm, and help others to overcome their panic, she spread that Grace and empowered all those around her. When they were finally rescued, even though one woman in another car died from smoke inhalation, The Metro rescuers again left those who did not choose to go to the hospital stranded – providing no help as to how they could resume their journeys. Joan wound up having to walk about a mile to another station to get a different train to get home. And yet, typical of Joan, her one regret of this disturbing day was that she did not walk through the cars to try to calm the other sections of people, and counsel them to get down low, so they too would not be overcome by the smoke. There are millions of questions one always asks after such a traumatic event – why did I not run for the earlier train? being only the first. But I feel we are always where we are supposed to be, with just the right skills that are needed, in any situation in which we find ourselves. Not in a fatalistic way – but in an optimistic way. Joan’s training and life lead her to be in that train, at that time, in that situation and she stepped to the plate and helped her fellow Metro travelers. This is inspiring me to tap into my strengths, do what I can to brighten my corner of the world, and hope that empowers others to do their best too. And oh, yeah! I plan to be around awhile too, so I am definitely going to start flossing! ← Can an index card save your life?